Anyone who lives in the Chicagoland area, or really anywhere that 7-11 peddles their syrupy frozen drinks, knows the torture of a “brain freeze”. It’s that terrible event where the slurpee deliciousness over-rides your brain’s warnings for moderation, causing you to drink way too much, way too quickly. This results in a skull-splitting ache that only passes on its own terms. Unfortunately, today is not the day for slurpees. No, it’s way too cold in Chicago for slurpees (but just wait until summer!). So this isn’t a post about binge drinking frozen treats. This is about the mental effect of being stuck inside with your nineteen-month-old for two days straight because of record low temperatures. The whole time trying to stay creative and active. Then the snack supplies run low. And you’re not heading to the store to replenish supplies until the weather breaks and the temperatures get above zero. So this was more of a metaphorical brain freeze. You see, this episode started with a good snack idea despite dwindling supplies. 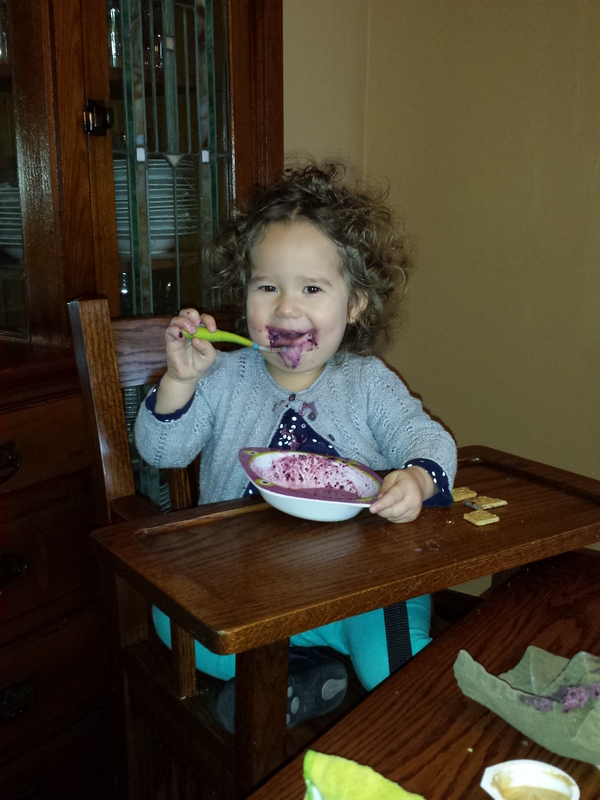 The treat here has yogurt, frozen blueberries, honey, and a little ground flaxseed for some added fiber. And really this was shaping up to be an excellent snack. But let’s call this for what it is – a smoothie. Which one commonly drinks from a cup. And I tried to serve it to Sweetie in a bowl, with a spoon. So two closing points here: this is Wife’s smoothie “recipe”. At least, these were the ingredients that she put in her drink last night. 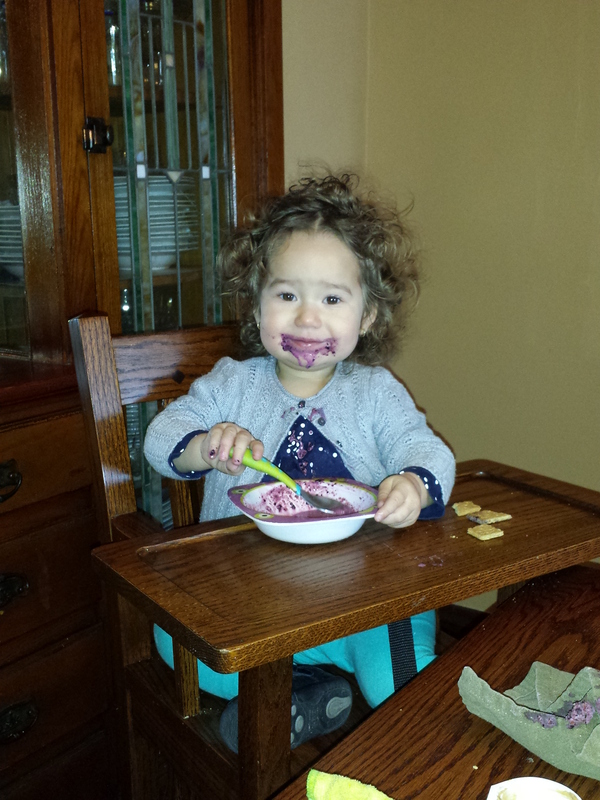 I totally bit her smoothie style. Also, if I had a more entrepreneurial spirit, this would be the smoothie recipe in the D-3 cookbook. That would be great for a stay-at-home toolbox, no? Blend. Pour into a cup. Monitor closely. There have been many instances over the past nineteen months where I have found myself thinking, “Alright, so I’m that Dad.” Like strapping on the diaper bag for the first time – “Now I’m the Dad that proudly wears a diaper bag in public.” Or going to the park or an afternoon play date. Yep, I’m that Dad. The most recent instance fit a common image and made me smile. Sweetie was immediately happy when she opened her Fisher-Price Tea Set. She invited Wife to a tea party as soon as all of the parts came out of the box. Over the next couple of days the set traveled from one end of the house to the other. In Sweetie’s opinion, any time and any place is good for a tea party. And this is where I come in to the picture. Err, in to the party…the tea party. Since I am around the most, I am the most available for Sweetie’s tea parties. 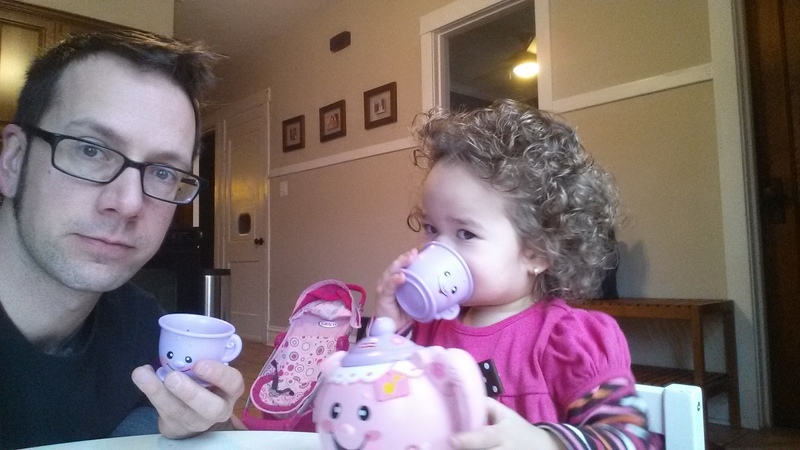 And so I become that Dad…the one that goes to his daughter’s tea parties. As far as accommodating your child’s wishes goes, attending a tea party is pretty benign. And an easy request to meet. 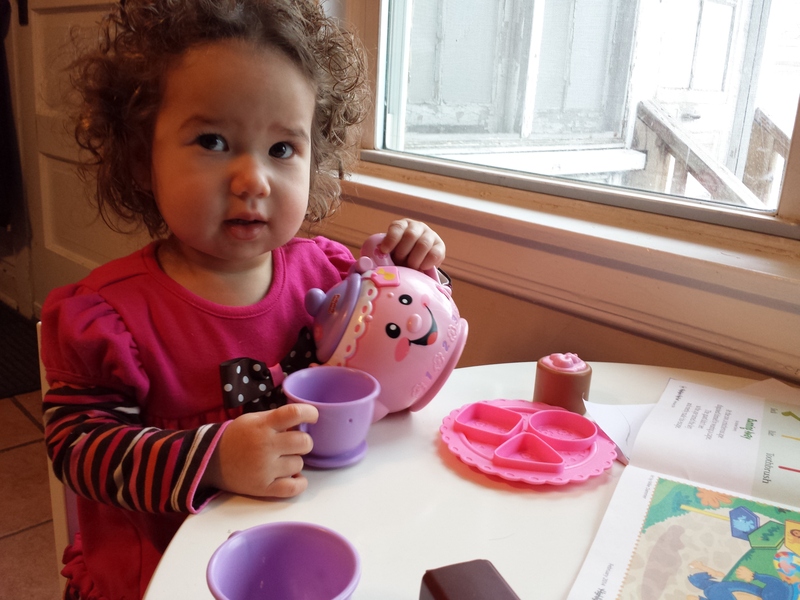 I gotta tell you though, Sweetie can not get enough of the tea-pot and the little jingles it sings. And I have never had so much fake tea in my life. 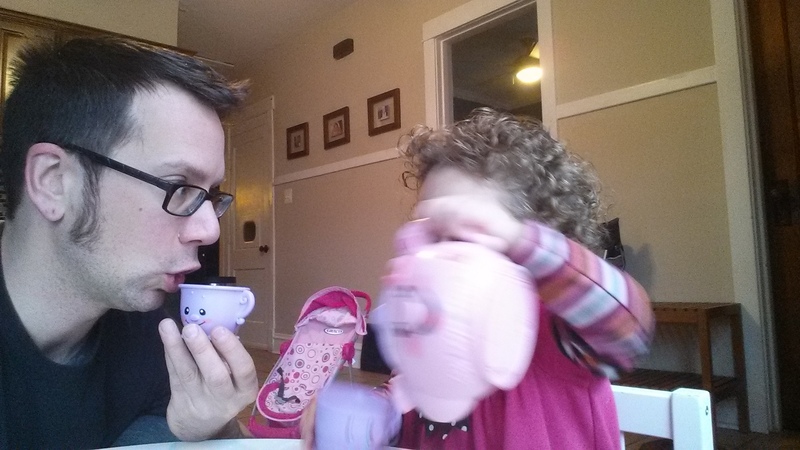 For the record, Wife also goes to tea parties…but this is my blog. So this feeds into that common image of little girls hosting their fathers at tea parties. It got Big Daddy Z and I talking because the girls are so into the tea sets. And without watching an example of a party, and without any prompting. He told me that he looked at toy tool sets but decided Linda wouldn’t step away from the tea set to play with it. 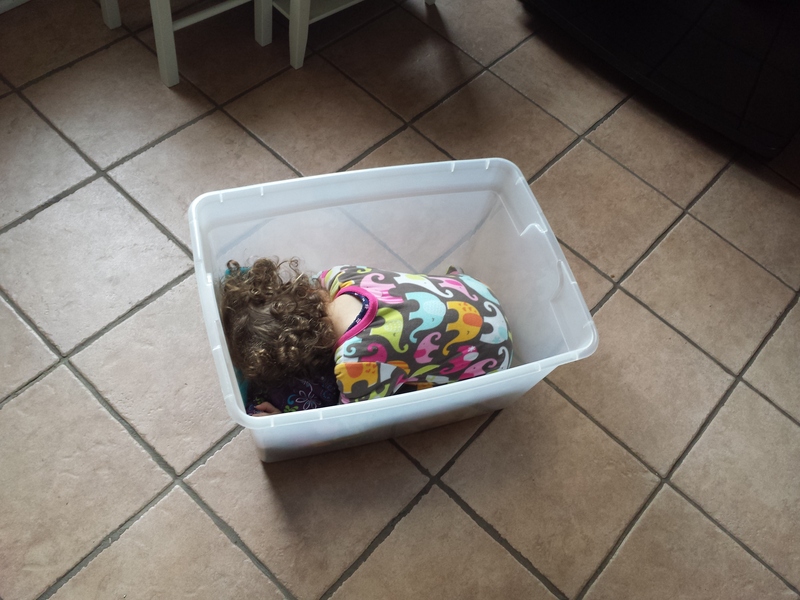 So I see a future post about gender roles and toddler play that mirrors those roles. And maybe moving away from those stereotypical roles as well. Wife’s aunt (and God Mother) flew in from Mexico for the holidays late on December 23rd. She arrived just in time for the mild temperatures to plummet towards zero and the snow to roll in. Winter fell onto Chicago with nightfall. And our marathon of family visits began. Somehow I remember last year’s holidays being a bit more manageable. Maybe Sweetie was not as engaging; I know she was not as engaged. 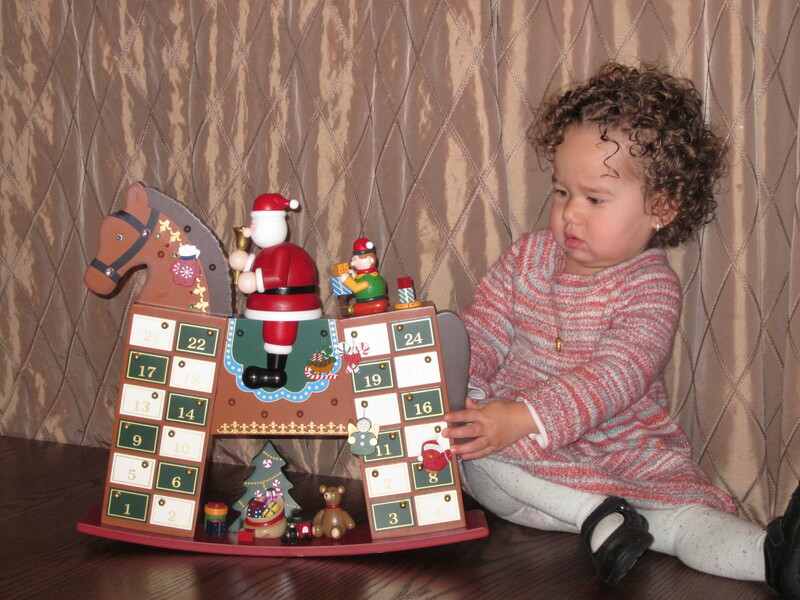 Not that she followed the Christmas stories this year, but she enjoyed the family time much more. 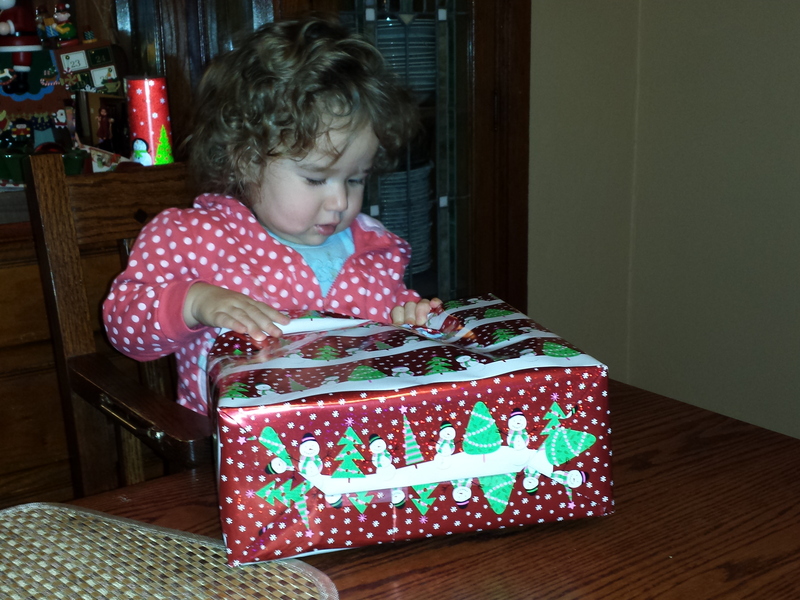 And she gets the gift thing now. Boxes wrapped in pretty paper are no longer safe! Our travels took us from our house to the south side of the city and all the way to the south suburbs. I don’t know about you all, but the holiday weeks really messed with our schedule. 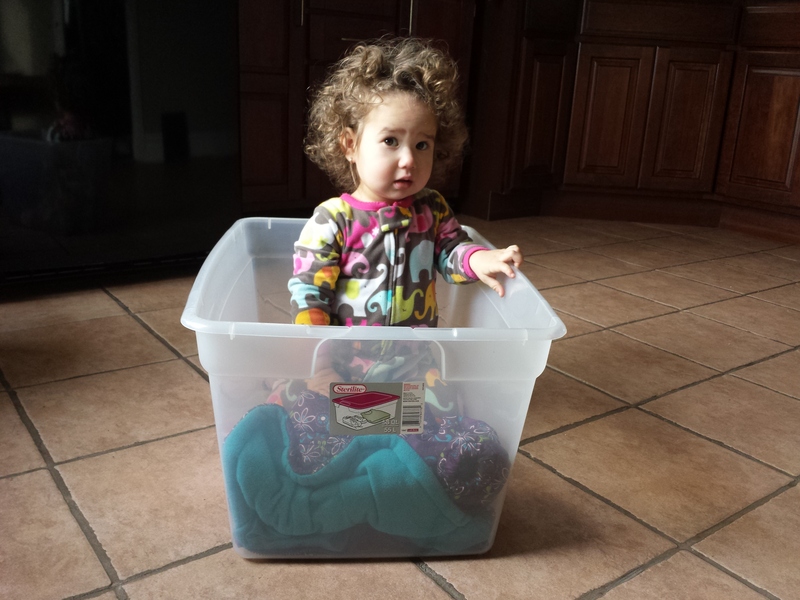 We would pack up and go for a visit, then come home, pack up and go, then come home. With all of the start-ups it felt like we had a week of Mondays. But we kept visiting family through the New Year. The night itself was quiet; thankfully, Sweetie slept right through the ball drop. 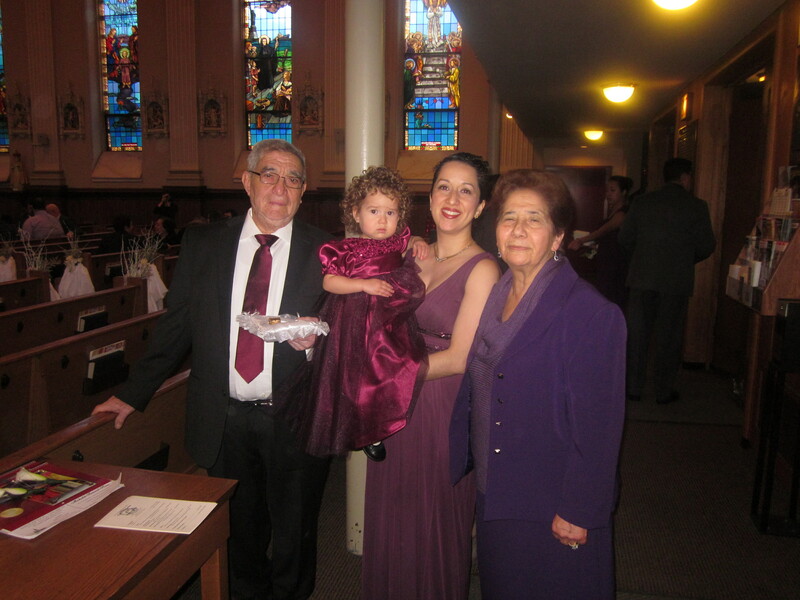 Before any dust settled we rolled right into a family wedding – Tio Long-Arm’s wedding was set for January 11. Wife and I spent multiple nights preparing decorations, including a late night before getting the flower arrangements ready. It was Sweetie’s first wedding and she was great…as long as she was in Wife’s arms. So what if all of the pictures have her eating some snack! Oh, and Abuela made the dress, just adorable. And we rolled into our week. Of course a bunch of our time is spent cleaning up and getting the house back together. Most of the decorations are finally put away. Most of the dust has now settled and we have swept most of it up. Regardless, Sweetie let me know she was done straightening up and it was time to play. So we’re getting back on track. Happy New Year to all of you. We’re looking forward to 2014 and we’ll let you know how it happens.